Israel is conducting a large-scale military drill at a base in the north of the country, in what commanders say could always be the “last training before the war” with Hezbollah. “We are trying to give the commanders and the soldiers the environment that looks like the real war so that they can have the feeling, when they will have to go to war, they will feel that they did it before. 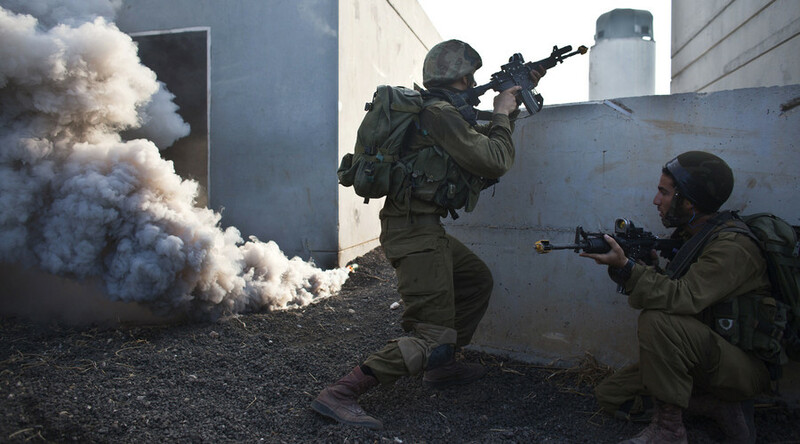 This is the purpose of the training – to prepare for the real thing,” Col. Kobi Valer, commander of the Elyakim Military Base in northern Israel, told AP. “The forces need to know that this could be their last training before the war,” he added. Armed with paintball pellets to stage a mock battle, the troops raided structures featuring murals of Hezbollah’s chief, Hassan Nasrallah, and other top Hezbollah figures, and opened fire at fellow officers playing the roles of guerrillas, AP reported. “Undoubtedly, doing this a few weeks every year makes people more confident about fighting in a real war,” Capt. Ofek Sinai, a 26-year-old reserve platoon commander, said. Israel said last week that its ‘David’s Sling’ system, designed to intercept medium-range missiles from Hezbollah, is due to become operational by early April. “We will finish a long process of testing a new weapons system that will join the air force,” Lt.-Col. Kobi Regev, the David’s Sling battalion commander, said, as reported by the Jerusalem Post. “The new and more advanced system, which is connected with our two older systems, the Iron Dome and Arrow Missile Defense System, is more relevant to the threats posed to Israeli citizens,” he added. Israel will never hesitate to intervene to prevent potential arms transfers to Hezbollah, Prime Minister Benjamin Netanyahu said earlier this month, commenting on Israel’s air raid in Syria in which the intruding jets were targeted by Syrian air defense systems. 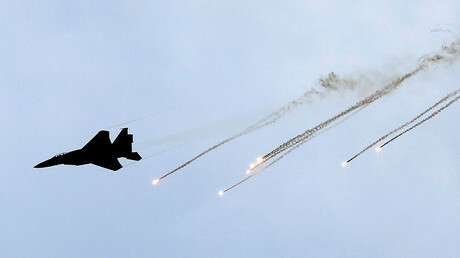 Four Israeli jets breached Syrian airspace and targeted military sites, prompting Damascus to activate its air defense systems. 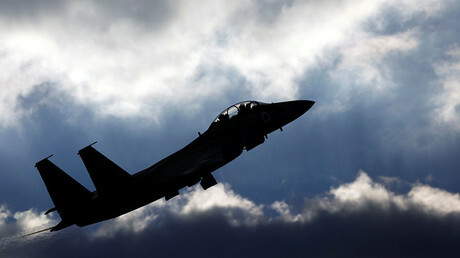 According to the Syrian military, one of the Israeli jets was shot down over the occupied Golan Heights, while another was damaged. The IDF denied that any of its jets were hit, saying that Syrian anti-aircraft missiles either missed or had been intercepted by Israel’s own air defenses. While Israel is not actively fighting in the Syrian war, it keeps close tabs on Iran and Hezbollah, both of which are backing Syrian government forces. In December of last year, Israel’s defense minister, Avigdor Liberman, shed some light on Tel Aviv’s policy on Syria, stating that it is working to prevent chemical weapons from reaching Hezbollah. The statement came shortly after a rocket attack on a Damascus air base was blamed on Israel. The defense minister said that while Israel has “absolutely no interest” in getting involved in the Syrian war, it will defend itself. '“Our policies and our positions are very clear and are based on three red lines: We won’t allow any harm to the citizens of the State of Israel, we won’t allow any harm to the sovereignty of the State of Israel and we will not allow the smuggling of high-quality advanced weapons and chemical weapons from Syria to Lebanon for Hezbollah,” Liberman said, as cited by The Times of Israel. The defense minister’s office refused to elaborate on the type of weapons of mass destruction Hezbollah may be trying to obtain. Tel Aviv last fought a war with Hezbollah in 2006. That conflict included rocket strikes inside Israel and an Israeli air and ground offensive in Lebanon. Israeli leaders have stated that since then, Lebanon-based Hezbollah has built up and improved its range of rockets, which can now strike deep inside the Jewish state.